Harry the hermit crab has the same problem as all of his kind; his soft belly leaves him vulnerable to the elements so he must seek out his own sea shell for safety. 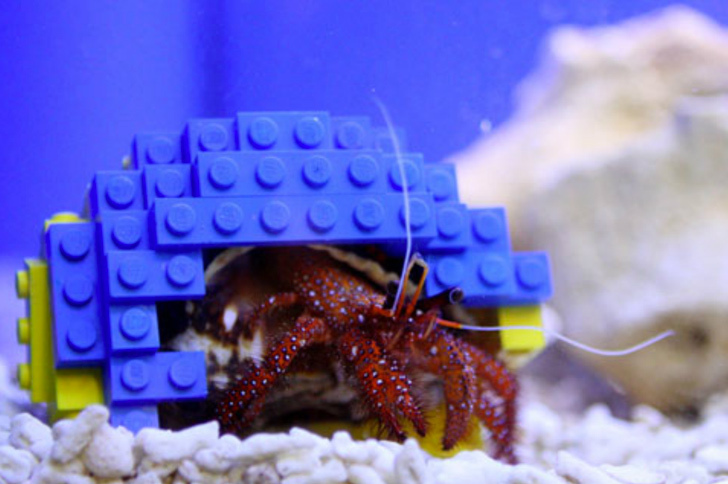 But unlike other hermit crabs, Harry lives in Legoland, Windsor, in the UK, and the staff there had a novel approach to his problem – designing a red, yellow and blue LEGO shell-shaped home for him to call his own! This issue of how best to provide for domestic soft-bellied hermit crabs has posed a curious challenge to designers. While hermit crabs will — in their natural habitat — generally set up sticks in a discarded sea snail shell, keepers of domestic hermit crabs often offer a selection of sea shells to find one that suits the needs of their crustacean. One company, Makerbot, offers 3-D printed custom shells for creatures outside of their natural habitat. But after Harry shunned many of the regular sea shells he was offered, the staff of Legoland decided to reach for a material close at hand. Legoland’s Liane Riley told the UKPA: “We decided to give Harry a wider choice and the model makers here created a special Lego house just for him… We weren’t really sure if he’d actually move in, but he rejected the sea and snail shells on offer and seems very comfortable in his new home”. You can check out a video of Harry strutting his Lego-Striped stuff here. Images Screen Capture from “Harry the Hermit Crab Comes Out of His Lego Shell – video,” by the Guardian, except for Second Image (cc) Arnstein Rønning via Wikimedia Commons. Even though "Harry" is a girl, the "Lego" shell is a brilliant idea. Very cool. I must inform you that "Harry" is a female. She has 2 small claws, but males have a big claw and a little claw. So, you might want to think of re-naming your little buddy. I must inform you that \"Harry\" is a female. She has 2 small claws, but males have a big claw and a little claw. So, you might want to think of re-naming your little buddy. 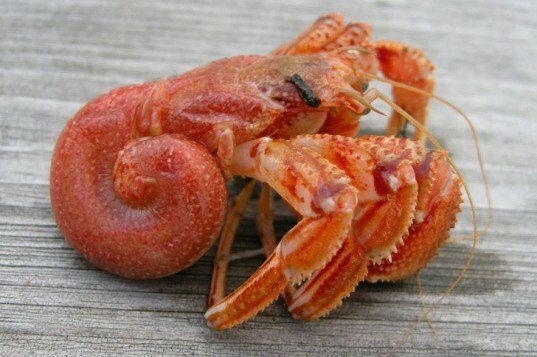 Harry the hermit crab has the same problem as all of his kind; his soft belly leaves him vulnerable to the elements so he must seek out his own sea shell for safety. But unlike other hermit crabs, Harry lives in Legoland, Windsor, in the UK, and the staff there had a novel approach to his problem - designing a red, yellow and blue LEGO shell-shaped home for him to call his own!